For over 35 years NRVMA has brought together professionals to provide expertise, solutions and networking opportunities. NRVMA is an educational, non-profit organization dedicated to providing expertise, solutions and networking opportunities to personnel involved in integrated roadside vegetation management. We are a network of federal, state, county, city, university and industry personnel, all working towards safe, beautiful roadsides. NRVMA was established to bring together personnel interested and involved in integrated roadside vegetation management through employment, research, education, regulation, contracting, manufacturing or merchandise. NRVMA was founded in 1983, and is dedicated to providing expertise, solutions and networking opportunities to personnel involved in integrated roadside vegetation management. We are a network of federal, state, county, city, university and industry personnel, all working towards safe, beautiful roadsides. Discussing integrated vegetation management activities related to safety, functional and operational characteristics, economy, roadside beautification and aesthetics, and ecological soundness. Establishing and administering standards of recognition for roadside vegetation managers. 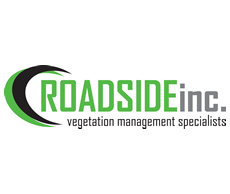 Providing the manufacturers, distributors and suppliers of roadside vegetation management products, equipment, material and services the opportunity to introduce and demonstrate their capabilities. We are going to try something new this year that I hope will be useful to those of you that would like to know something about our Board members . Maybe this would interest you enough to inquire and hopefully want to become more involved in NRVMA. I would like to introduce you to Matt Kraushar, our Secretary for 2019 and will rotate to Vice President in 2020. Matt serves the Indiana Department of Transportation (INDOT) as the statewide roadside maintenance specialist. In his role he provides technical expertise to the highway maintenance staff for all roadside related management activities. INDOT maintains in excess of 11,000 centerline miles of roads and roadsides. He helps keep staff up to date on the safe use and implementation of all roadside management practices. He is continually looking at ways to improve upon INDOT’s vegetation management program through the implementation of integrated vegetation management practices that are based on science. He has a passion for the field and strives to promote science based management not only in his home state but also across the country. Annual Conference, September 17-19, 2019 at the newly renovated Galt House Hotel in Louisville, Kentucky. The Galt House is going through an $82 million dollar renovation. I have seen the most recent renovated rooms and you will be amazed at the new décor. I will have more on the conference details right after the start of 2019. All conference meeting rooms, registration and Exhibit Hall are within feet of each other and on the same floor. This year our conference will begin on Tuesday, September 17th, mid morning, earlier than usual due to the outstanding program our Program Committee has developed. Dr. John Byrd, our Program Chairman and members of the committee have an exceptional educational program that will be very informative to our attendees. The subject matter is only as good as those making the presentations and we will have some of the most highly educated and respected speakers in their field of roadside vegetation management. They come from all parts of the country. Should you have questions or need assistance, please contact me at jreynoldsnrvma@charter.net or call 205-491-7574. 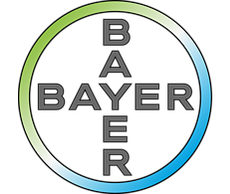 Bayer is an inventor company with a long tradition of research. By applying science to the major global challenges, we deliver innovations that address unmet customer and market needs. Our focus on innovation is the key to maintaining or gaining a leading position in every market in which we operate. The success of our Environmental Science business is based on highly innovative products and services and our recognized expertise in the Environmental Science market. 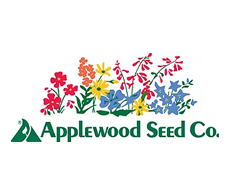 This success is built on highly effective Crop Protection active ingredients developed to meet the specific needs of the customers of non-agricultural pest control markets. Innovations offering convenience, safe use and easy application are key to future growth. 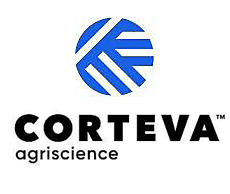 Corteva Agriscience™, the agriculture division of DowDuPont™, is the only major agriscience company completely dedicated to agriculture. By combining the strengths of DuPont Pioneer, DuPont Crop Protection and Dow AgroSciences, we've harnessed agriculture's brightest minds and expertise gained over two centuries of scientific achievement. 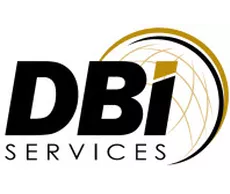 DBi Services offers a breadth of maintenance services to a variety of infrastructure owners that is unmatched in the industry. Our customers include government agencies, railroads, utilities, retail stores, industrial plants, oil & gas companies, homeowners' associations and private individuals - essentially any organization or individual who has a physical infrastructure requiring regular maintenance. NaturChem is a leader in the vegetation management industry, bringing the latest technology and chemistry to a wide array of markets. We serve the electric, railroad, telephone, chemical, manufacturing, forestry and many other commercial market segments. Our services are also provided to all levels of government including Federal, State, County and Municipal entities. The services provided by NaturChem enable our customers to operate more cost effectively, keep their employees and the public safe, and comply with local, state and Federal regulations. 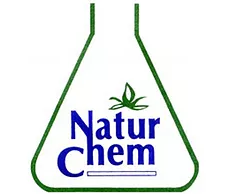 We believe NaturChem provides the very highest quality service in the industry while providing a uniquely broad base of services. North Carolina Vegetation Management Assn. South Carolina Vegetation Management Assn.